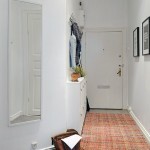 Clever hall design allows for shoe storage, coats & a full length mirror. 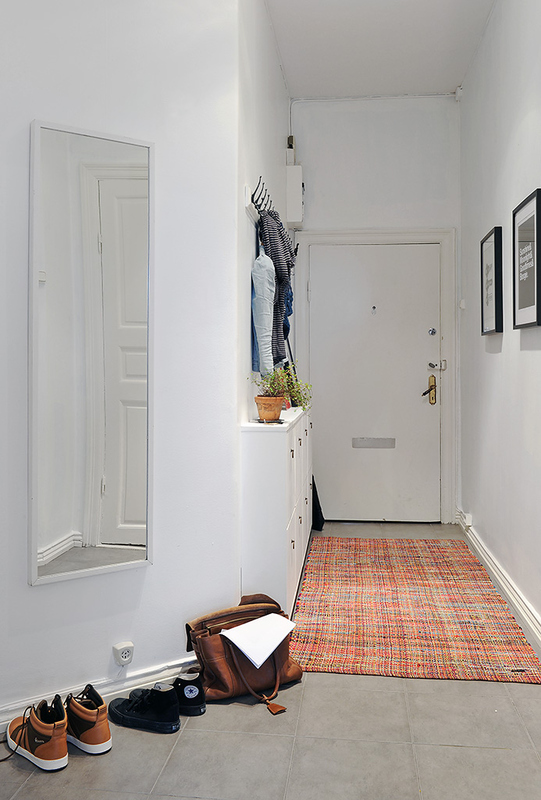 The runner rug lends a nice pop of colour to distract from the functionality of the simple B&W space. Nicely done!